To apply, you need to turn the base of the pen until you have enough product appear on the brush. Usually a couple of clicks are enough. The first time you use it you will need to twist it a lot to get the product to appear, so do be ready for that. Once the product is on the brush tip, you can stroke the brush onto the area that you wish to conceal (or highlight, which we will discuss in a moment), preferably after foundation (or you can use it alone if you don’t use foundation). It is at this point where it is better to blend into the skin either with a sponge, brush or even your finger until it’s looking flawless. Straight off the bat I can tell you that this concealer does have really good medium-high coverage, but it covers in some areas better than others. As an under eye concealer this is an amazing product. It is smooth, non-cakey, doesn’t settle into creases around the eyes easily and it looks really natural. It is also great around the nose. Because of this, this concealer would make a fantastic highlighter if you purchase it in a shade lighter than your actual skin tone. Usually I don’t find these types of concealers to be very good at concealing blemishes, but I was quite surprised with this one. If you have minor marks (such as healing blemishes), this concealer will do the trick. It will cover them more naturally than a super high coverage concealer that has the potential to feel heavy on the skin or cake up. What this won’t do though is cover up bigger, darker blemishes, but it will help though. If you find yourself with a stubborn blemish mark to conceal and it’s causing trouble (we’ve all been there), then I do find that this concealer helps a small amount. Piling on the high coverage concealer can crease up, cake up and so on, and it can highlight the blemish more than disguise it. I find that applying a small amount of this concealer to the blemish first gives it a somewhat more natural looking base layer between foundation and your high coverage concealer, allowing you to use a little less of a “cakey” and heavy concealer, making for a more natural look overall. The downside of this though is that it’s an extra product to use, and you may not find this necessary. It’s more time added to your routine. Going back to my point of using this as an under eye concealer/highlighter though, whilst I haven’t been using this long enough to comment on any potential anti-ageing benefits, it is a nice addition as around the eyes is one of the first places that begins to show signs of fine lines and wrinkles. I do find that it adds a somewhat glow-y finish to the skin, so it isn’t matte. If you prefer a matte finish then you will need a bit of powder on top. I imagine that this is because of the hydrating properties of the concealer, and I do find that it helps a small amount at keeping the areas that it is used on hydrated. Again this is a main benefit for the eye area as it isn’t really necessary for areas as small as blemishes, so it really just fights the case of this being an amazing under eye concealer. Wear time is also great with this. I don’t find myself needing any top ups throughout the day or needing to re-blend anything in at any time (my very oily skin means I usually have to do that). Overall, I think this is a fab concealer for under eyes, but only an okay one if you are covering bad blemishes, or if you were trying to conceal acne. For minor marks you will get great coverage, and for under eyes and around the nose it really does make the skin look flawless. Concealing bigger, more difficult blemishes needs more of a creamy formula in my opinion than a liquid one, but as I stated above, it can help somewhat as a middle layer. 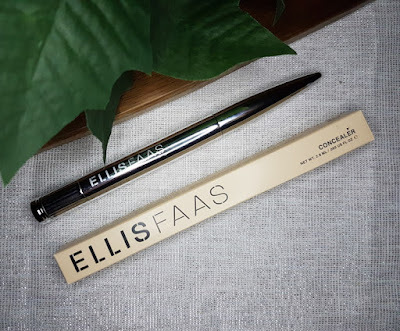 If you are looking strictly for a concealer to cover blemishes and you aren’t bothered about a flawless under eye concealer, this may not be what you are looking for. Instead, I would recommend something like the MAC Studio Finish Concealer. If you are after an under eye concealer, I highly recommend this one, and if you end up with any bad blemishes to cover then do keep in mind that this could help a little in that area. If you are looking for a both a concealer that covers naturally and one that highlights, I will recommend purchasing two; one in your shade and one a shade lighter. 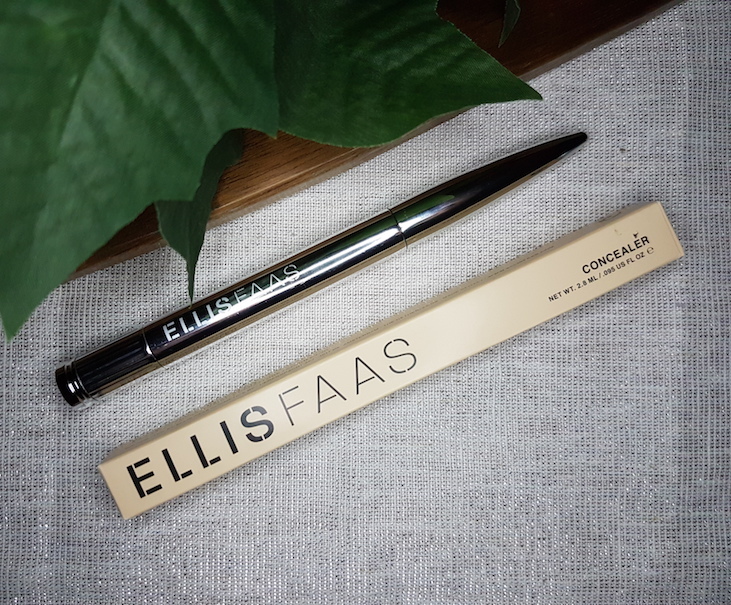 After trying this concealer I am definitely eyeing up the Ellis Faas Skin Veil Foundation. This concealer and that foundation have been designed to work together, and if this concealer works this well at making the skin look flawless on its own, I’d love to try it alongside the foundation. 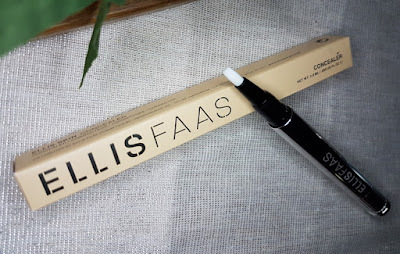 If you would like to purchase the Ellis Faas Concealer, you can do so from Beauty Bay. What are your thoughts on the Ellis Faas Concealer? What are your favourite under eye and favourite blemish concealers?